Microsoft Project is a project management tool widely used by project managers today. Its' ability to support project managers to define a schedule, assign resources to tasks and track project status has been instrumental in contributing to project success. However, it can be a challenge for a project manager to share project information and collaborate with the project team with Microsoft Project alone. Office 365 can complement Microsoft Project 2010 and address this gap. In this session, you will learn how to effectively create a Microsoft Project Plan, create a SharePoint-based Project Management Information System (PMIS) with Office 365 and integrate Microsoft Project information with SharePoint 2010. In addition, we'll cover best practices around utilizing SharePoint with Microsoft Office, Lync and mobile devices to empower a project team to share relevant information, facilitate better collaboration and build project management dashboards. All PMP certified attendees will earn 1 PDU for attending this session. 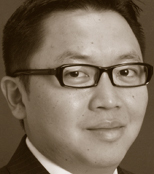 With over 15 years of experience in Information Technology, Dux Raymond Sy has earned a reputation as among the leading experts in leveraging technology to enhance project management. He is currently a managing partner and the chief evangelist of Innovative-e, Inc., a Microsoft Certified Gold Partner focused on leading, inspiring and being the catalyst of organizational transformation that enables clients to achieve tangible business results. As a thought leader in maximizing project team collaboration, he is focused on empowering organizations on how to leverage the benefits of collaborative tools with quantifiable goals such as: Increasing productivity and efficiency, decreasing collaboration redundancies and streamlining electronic communications. He has successfully managed the implementation of various SharePoint-based solutions for commercial, educational and government institutions. A sought after speaker, Dux has presented in various Microsoft and Project Management Institute (PMI) events worldwide. He is very much involved in the greater SharePoint community and is an event chair for SharePoint Saturday, a free community driven conference that has been held worldwide. Dux regularly writes about project management, SharePoint and globalization at MeetDux.com.